Large gardens and backdrop. Seeds are loved by finches. An imposing plant that requires space. 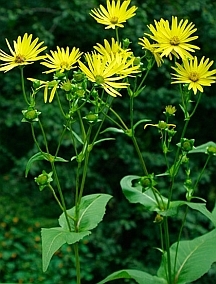 The leaves form cups against the stems, which trap water - another attraction for birds. I've had this against the barn and on a woodland edge. Very fun.